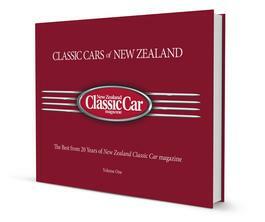 The best from 20 years of New Zealand Classic Car magazine. Drawn from the 100s of issues and 1000s of cars featured in the magazine since launch, this 148 page hardback book is a must-have for all classic-lovers. Combine stunning and evocative photography, gorgeous classic cars and authoritative text from the editors of New Zealand Classic Car magazine and you have Classic Cars of New Zealand – a celebration of Kiwis and their classic cars. Be the first person to tell us what you think about Classic Cars of New Zealand and you'll save $5 on your next purchase!